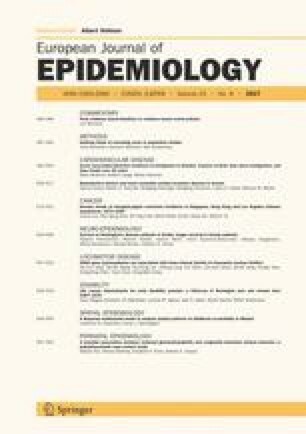 This study investigates incidence of first acute myocardial infarction (MI) among foreign born persons in Sweden using case control methods, taking into consideration country of birth, gender, socio-economic group and time since immigration and evaluates if the decreasing incidence of MI in Sweden during the study period was also present in immigrants. The study base consisted of persons 30–74 years of age in Stockholm County 1977–96. All incident cases of first acute MI in the study population were identified using registers of hospital discharges and deaths. Controls were selected randomly from the study base and the sampling fractions were known, enabling estimates of person time at risk. Foreign born subjects had a higher incidence of MI than subjects born in Sweden (men RR[Relative risk]=1,17; 95% CI 1,13–1,21; women RR = 1,15; 95% CI 1,09–1,21) after adjustment for calendar year, age and socio-economic group. An increased incidence was present primarily in subjects born in Finland, other Nordic countries, Poland, Turkey, Syria and South Asia in both genders, from the Netherlands among men and from Iraq among women and was still present after more than 20 years in Sweden. The incidence rate of MI 1977–96 among foreign born persons followed the general decline in the Swedish population. We conclude that foreign born persons in Sweden have an increased incidence of first MI which persists several years after immigration and is not explained by socio-economic differences. It is likely that this to an important extent has a background in factors in the country of origin. This study was financially supported by the Swedish Council for Working Life and Social Research (grant no 2001-1133) and the Stockholm County Council.